Found 16 blog entries for November 2015. Sunday, November 29th, 2015 at 6:16am. You don't have to search deep in the internet anymore just to find and view your next Edmonton home. 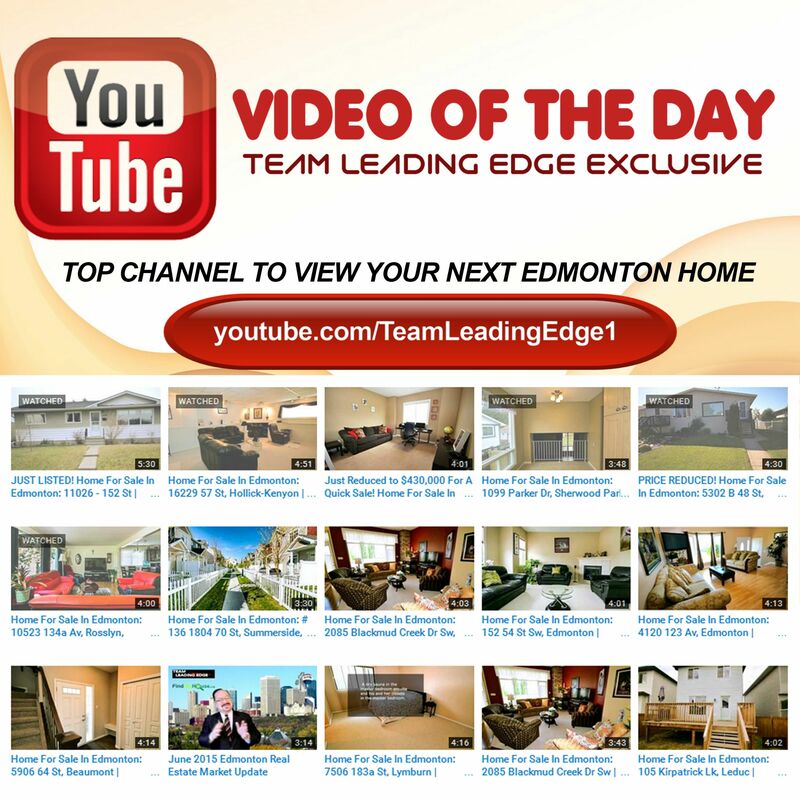 Introducing Edmonton's top channel destination to view all real estate related videos. Be informed of the latest trends, news and newest listed Edmonton homes for sale exclusively marketed by Team Leading Edge on the Edmonton MLS. This is the only channel dedicated to all the people looking to move and settle in the beautiful city of Edmonton. Check out our channel today! BUYING AN EDMONTON HOME THIS DECEMBER? Sunday, November 29th, 2015 at 2:05am. 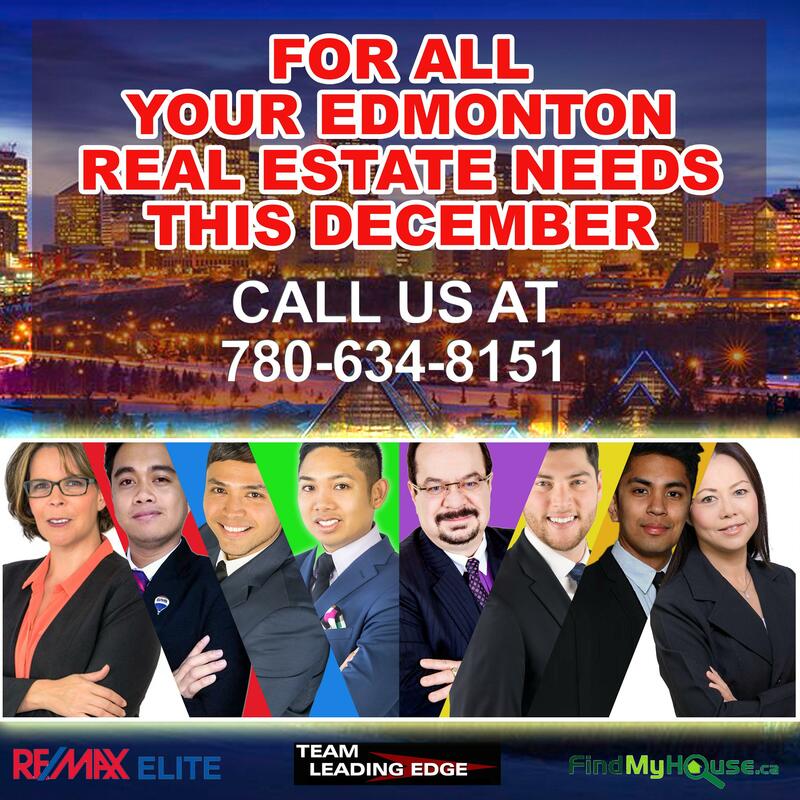 This December, we at Team Leading Edge would like to extend a helping hand to all Edmontonians still looking to buy or sell Edmonton real estate. We aim to make your Edmonton real estate experience as pleasing and exciting as possible, something that you'll remember positively in the coming new year. Get in touch with us at 780-634-8151. Saturday, November 28th, 2015 at 11:59pm. In today's VIDEO OF THE DAY, we feature this 4 beds, 2 baths Edmonton home at 11026 - 152 St. For only $375,000 this earned the top spot on our list. Well maintained, top to bottom, this Edmonton home will surely impress everyone that enters its premises. For starters, it's 1,105 sq. ft. of living space has hardwood and tile flooring-which creates the classy feel. See for yourself what we're talking about. Take a quick tour at your future home! Friday, November 27th, 2015 at 9:00am. The Alberta Real Estate Association released their October market report. Given the importance of the current market changes we wanted to provide it in its entirety for you. As always, real estate is LOCAL. We would be happy to provide you with information about your specific neighbourhood. We want you to have all of the information you need to make the BEST decisions for YOU. Please calls us to discuss your specific needs! 4 WAYS TO SELL YOUR HOME FASTER-FREE OF COST! Saturday, November 21st, 2015 at 8:07am. Yes! Yes! Yes! Every Edmonton home seller out there would like to have their property sold this minute! Who doesn’t? It’s almost December so everybody’s on a rush. 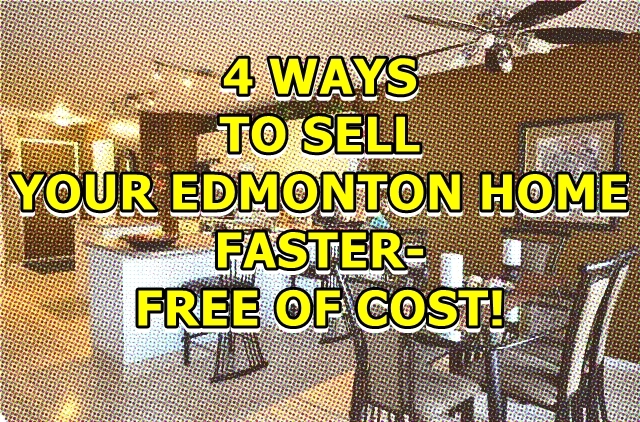 We at Team Leading Edge know every inch of your excitement and burning desire to finally dispose that Edmonton home so we made this 4 simple ways for you to achieve that goal-FREE OF COST! DECLUTTER & CLEAN. Let’s start with the most obvious. We’ve seen Edmonton properties in the past that were really out of shape, no wonder it was stuck in the Edmonton MLS for months. Make cleaning and decluttering one of your top priorities. Thursday, November 19th, 2015 at 10:00am. Before putting your home for sale on the Edmonton MLS, you must work out a bucket list of the major things you need to repair. 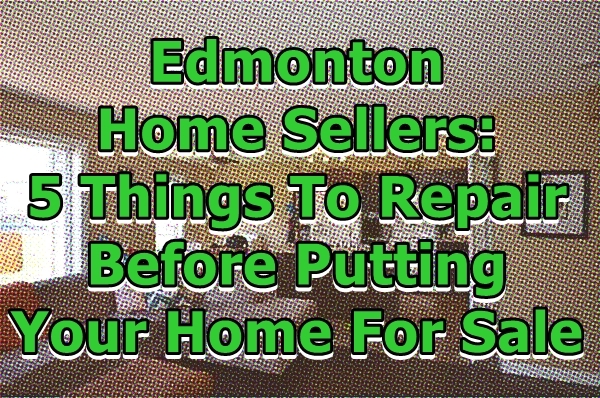 Unrepaired items can ultimately ruin your chances of getting your Edmonton home sold! If you’re smart enough (and we know you are—because you’re reading this) you’ll need to take care of the potential troublemakers before selling. We at Team Leading Edge have compiled 5 major things that you will need to look into in order to facilitate the smooth and fast selling transaction. Let’s begin! Monday, November 16th, 2015 at 10:20am. This Monday, 16 November 2015, we at Team Leading Edge would like to thank all our clients, friends and family that believed and supported. Holiday season is just around the corner, winter is coming and the New Year is fast approaching, some people might take this as a sign to slow down and take it easy but the team views this as the mark to let it all out and work even longer and harder! Friday, November 13th, 2015 at 10:34am. There are only 48 days more left until we end the year! That means 48 more days to finally buy or sell your Edmonton home. Oh yes! time flies fast. This Friday the 13th, Team Leading Edge would like to share with you the main highlight of the NATIONAL ASSOCIATION OF REALTORS® (NAR)'s Highlights From the 2015 Profile of Home Buyers and Sellers. The infographic below provides a fresh perspective into the profiles of home buyers and sellers. With the figures shown in this infographic, we hope you can improve your decisions and judgement when buying or selling Edmonton homes. 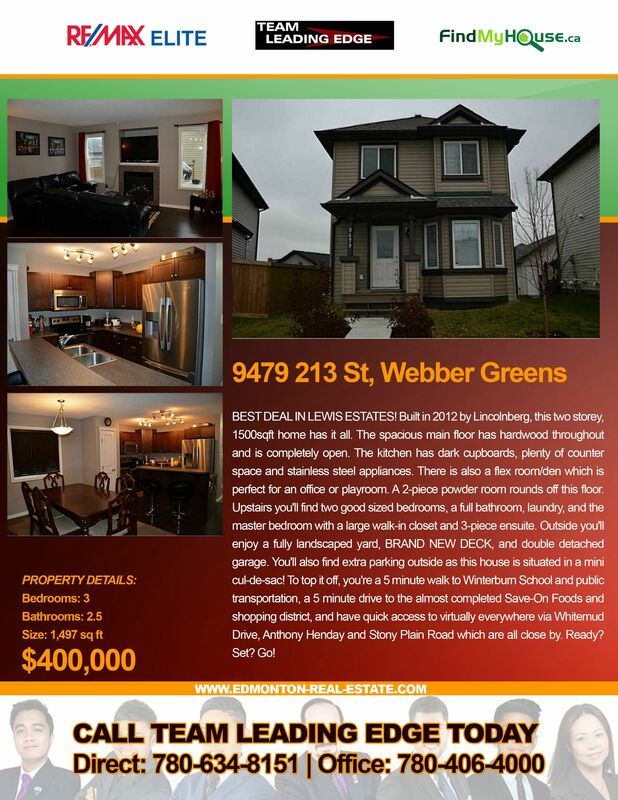 Home For Sale In Edmonton: Webber Greens 9479 213 St, 3 Beds, 3 Baths, Only $400k! Friday, November 13th, 2015 at 12:16am. For $400,000 this grand 3 beds, 3 baths Edmonton home at the beautiful neighborhood of Webber Greens is yours! You deserve this! It is one of the best deals you'll ever have in Lewis Estates. Built 3 years ago, this 1,497 sq ft Edmonton home looks and feels new. It will not disappoint. Being the new owner, you'll enjoy a brand new deck, double detached garage and a fully landscaped yard that you can show off to friends and family. Here's the bonus feature. You'll have easy access to Whitemud Drive, Anthony Henday and Stony Plain Road! Home For Sale In Edmonton: 417 8528 82 Av, Bonnie Doon. 2 Beds, 2 Baths | $215,000 Only! Wednesday, November 11th, 2015 at 4:25am. If you're looking for serious business then you came to the right place! 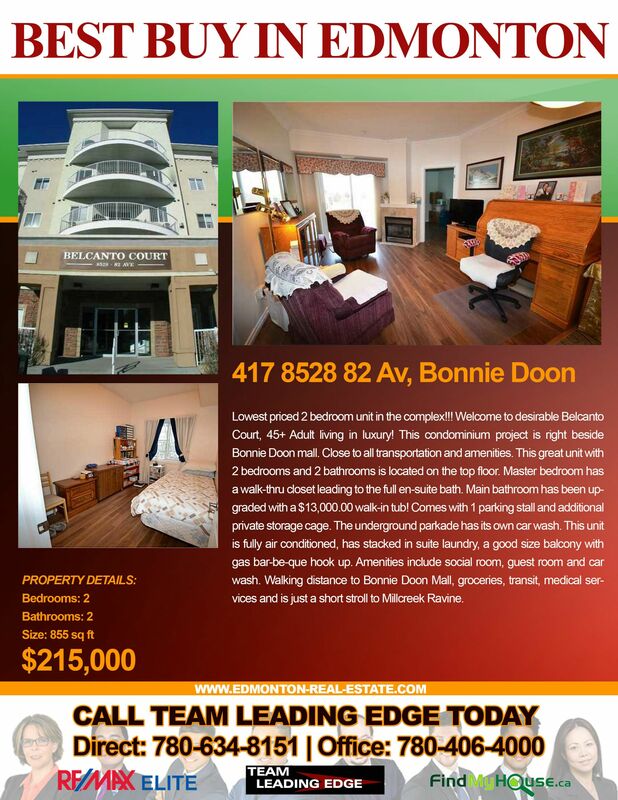 This 2 beds, 2 baths Boonie Doon Condo For Sale is looking for a new owner! With it's spacious 855 sq ft of living space and attractive price tag, only $215k right off the bat, this property is surely for dynamic people like you! Get the chance to live in Belcanto Court address! That's luxury living right there - and by luxury living we mean a $13,000 walk-in tub in the main bathroom all for yourself!